Would I benefit from automatic tyre chains? We live in the era of automation. Have you ever thought of all these things that used to need a lot of human involvement, but today are seemingly automatic? Buying things for example. We have access to a global supply of products and services that are just a few clicks away, and we get our deliveries with very little human involvement. It’s different systems that communicate and automate that provide this convenience. Also today’s vehicles are stuffed with systems to make usage safer and more convenient. Actually, automation technology develops at such a pace that self-driving vehicles are no longer a futuristic dream. They are here soon…But there are things that cannot be controlled or improved by use of systems. The weather for example. When roads are icy and covered with snow it’s very obvious that we rule under the basic physical laws of friction, traction and energy of motion. No system will ever override these laws. However, there is a good solution, involving the laws of nature, Murphy, safety and convenience: An Automatic Tyre Chain system, and especially a school bus driver would benefit from such a system. Just imagine flipping a switch and you get tyre chains “mounted automatically”. Another flip, and they’re “dismounted” – all this while driving. No wasted time, no heavy mounting work and you don’t get dirty. In the future, school buses may be self-driving automatic vehicles. Until then I think that an Automatic Tyre Chain System is a good step to make today’s school bus driver’s work both safer and more convenient. 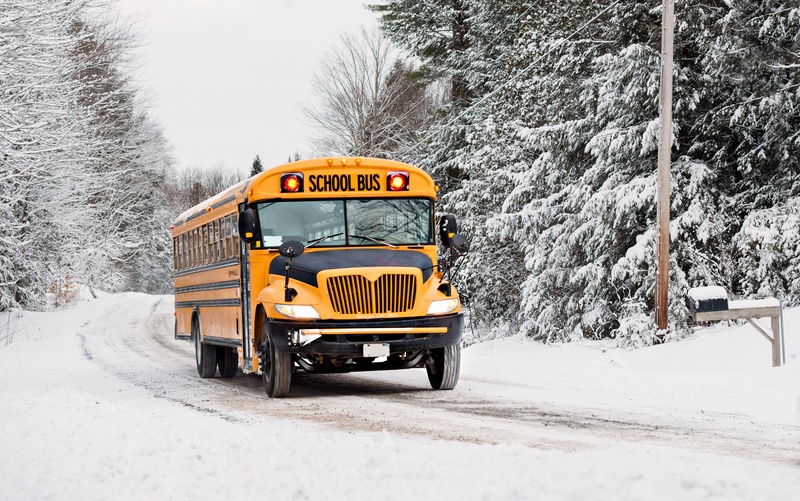 Download the folder with the Onspot Automatic Tire Chain System’s benefits for school bus drivers, and feel free to comment below or contact us!